We can't leave without Google these days , it's the magical solution when it comes to know anything about anything , we don't have to wonder or be curious anymore thanks to Google. If you are fashionholic or style fanatic you should check " the most googled fashion questions in 2014" according to Google's 14th Annual " Year in Search " results. Definitely a stunning white dress if you are the bride , if not so you have a plenty of options depending on the place of the wedding , location , and time of day. 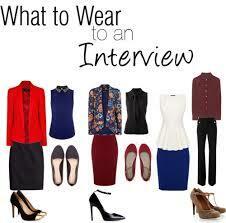 This is the most common fashion question ever asked , as it's so important to take care of what you will wear to a job interview in order to make a good impression on your interviewer. The answer of this question depends on the type of job you are applying for , for example if it's a formal job so you need to make it perfect. Anyway you should make some serious research on what people wear at the job you're applying for, and then dress one level nicer than that. Remember : DON'T LET A FASHION FLAW COST YOU A JOB ! The answer to this question is more simple than you think , you only have to wear what you feel comfortable and confident in . Yes, we're all looking to make a great first impression ,but it's not a good thing to pretend to be someone you are not. Like the rest of questions the answer depends on what kind of concert you are going to , as what you wear for an opera concert should be totally different from what you will wear for a pop or a rock party !